This web site is the property of CEREALOG SAS. Its entire contents (including all images, photographs, videos, text and audio contents) are subject to French and international law concerning copyright and intellectual property. Accordingly, their presentation, reproduction, broadcasting and rebroadcasting, in part or whole, are prohibited in compliance with Article L. 122-4 of the French Code of Intellectual Property. All rights related to the reproduction of the text, photographs, audio and video are reserved and strictly limited. Reproduction of images, video and audio is expressly prohibited, unless agreed by the parties. Any copying of textual content from “www.cerealog.fr” Web pages is subject to prior express authorization of the rightholder and must comply with the integrity of the documents to be reproduced. Thereafter, any free diffusion of authorized textual content requires explicit mention of the source of the publication such as: “With permission from CEREALOG – www.cerealog.fr – All rights reserved”. 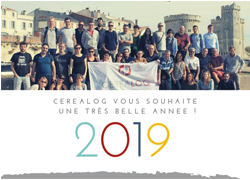 by sending a letter to CEREALOG’s physical address: CEREALOG – BP 3101 – 17033 LA ROCHELLE Cedex – FRANCE. 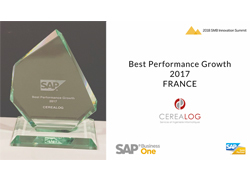 E-mails from users sending a request to CEREALOG are saved on a storage media, at least for the time period required for the office to handle the request and respond. Once treated, e-mails are systematically destroyed. The electronic address of the user may be reused when CEREALOG sends general information messages. Any user may request at any time that his/her personal address information be destroyed by following the above described procedure related to personal data.